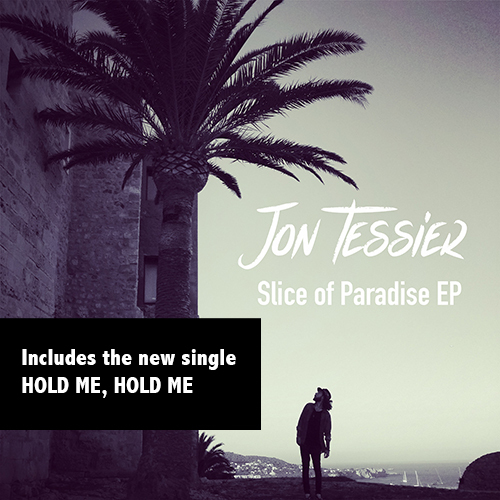 ‘Slice Of Paradise’ is the new EP from Jon Tessier. Brazilian French musician, now residing in Ibiza, Spain and working between there and Paris, France. His solo music is best summarised as ‘guitar driven alt rock pop’. Influenced by Motley Crue, Depeche Mode, The Doors, Tom Petty and the Heartbreakers, Brazilian Bossa Nova artist Joao Gilberto, etc, Jon’s is an original sound and can be heard on all online platforms. Currently promoting the 2 singles, ‘In My Veins’ and ‘Hold Me, Hold Me’, from the ‘S.O.P.’ EP, Jon’s sound will appeal to a wide fan base. Hold Me, Hold Me – Immediate, tight, lively riff intro. Catchy vocal rhythm, memorable lyrics, with an 80’s feel about them and a fresh, positive energy pulsating through them. Brief and basic, in its song structure, but a track in which, its simplicity and brevity is the key to its success. Brings to mind carefree summer days and cheerful vibes. Ending on another tight, definitive chord, it’s effective easy listening fodder. Highly evocative of Aerosmith’s ‘Magic Touch’. For fans of Aerosmith’s ‘Magic Touch’, The Stones and The Stone Roses.